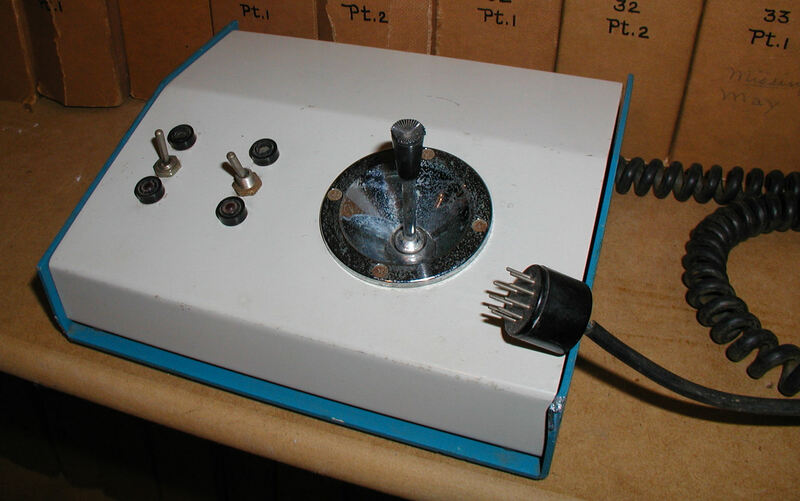 The 1965 Friden 132 Electronic Calculator was the first electronic calculator capable of doing square root. The 4 row display of the Friden 132. 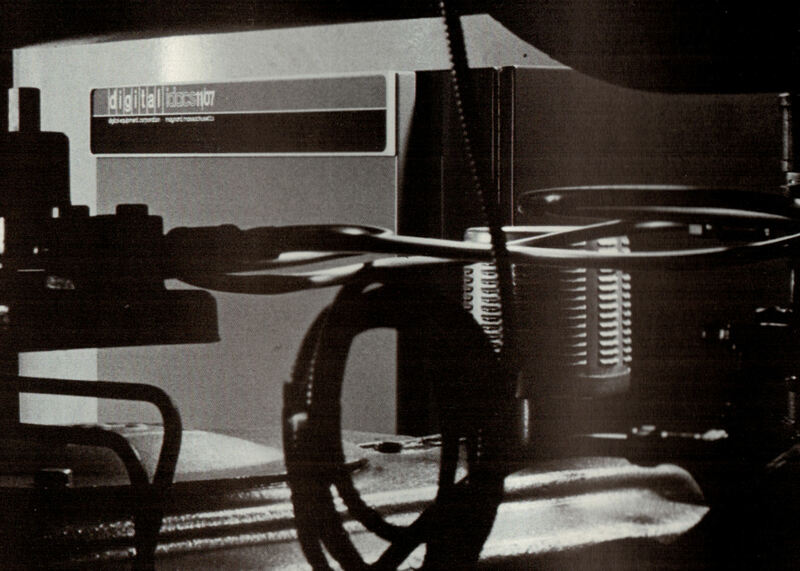 The circa 1972 Digital Equipment Corporation idacs 11/07 industrial PDP 11 computer. Click for larger view. 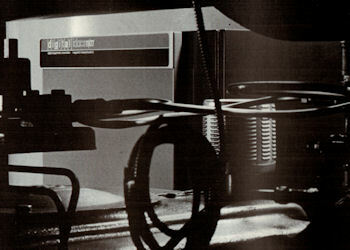 The Xerox 820-II Computer with DD 8" and "Rigid" disk option. 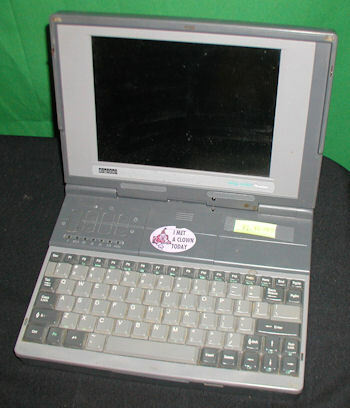 The 33Mhz i486 Digital "DECpc 433SLC Premium" laptop model PCP38 - One of the last Digital-branded laptops made before the company was bought by Compaq. The SLC was first made available in February 1994 and would have been designed for Windows 3.11, but would have run Windows 95 as well. 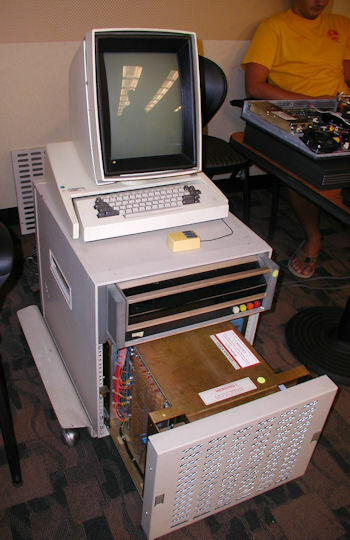 The unassuming Compaq Deskpro 5/60M computer is considered one of the first commercially-sold desktop computers with an Intel Pentium processor. Click for larger view. 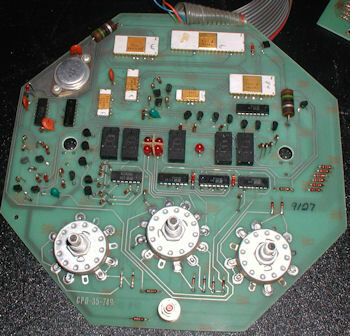 Pictured is a rare Compaq QVGA EISA video card. These were at the time Cadillac VGA cards, a good match for the system. 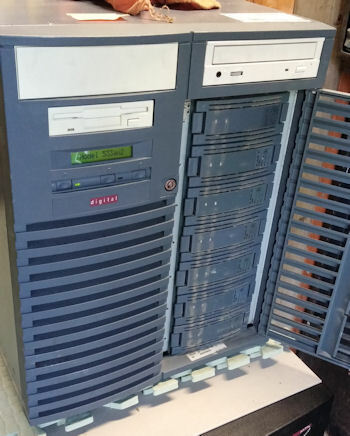 The QVision VGA cards also appeared in AlphaServers. Click for larger view. 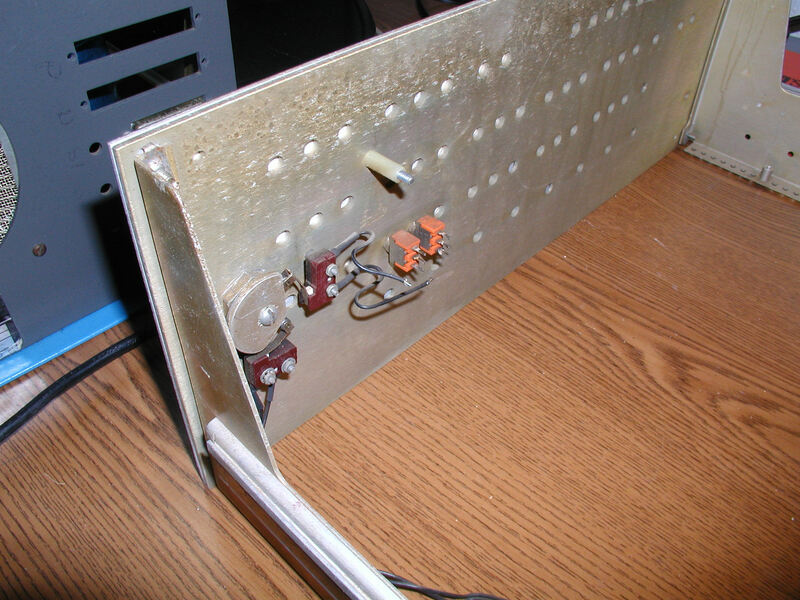 The Raspberry Pi can be used to connect vintage computers to the internet. This image shows my preference - A USB wireless dongle and a USB to serial cable. One could also use the serial port of the Pi, but that method is not covered here. 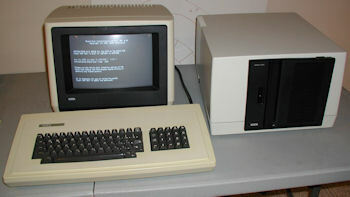 The operating system I chose is a version of Debian Linux tailored for Apple II use (search the web for "IvanX" to download a copy with directions), but this Pi distro is also good for most other terminal software-driven vintage computers. Click for larger view. 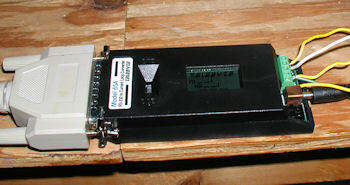 The 1998 Digital Ultimate Workstation 533au2 was one of the last Digital-branded mini computers. Click image for larger view. These machines shipped with either Windows NT® Server 4.0 or DIGITAL UNIX, but many installed OpenVMS as well. 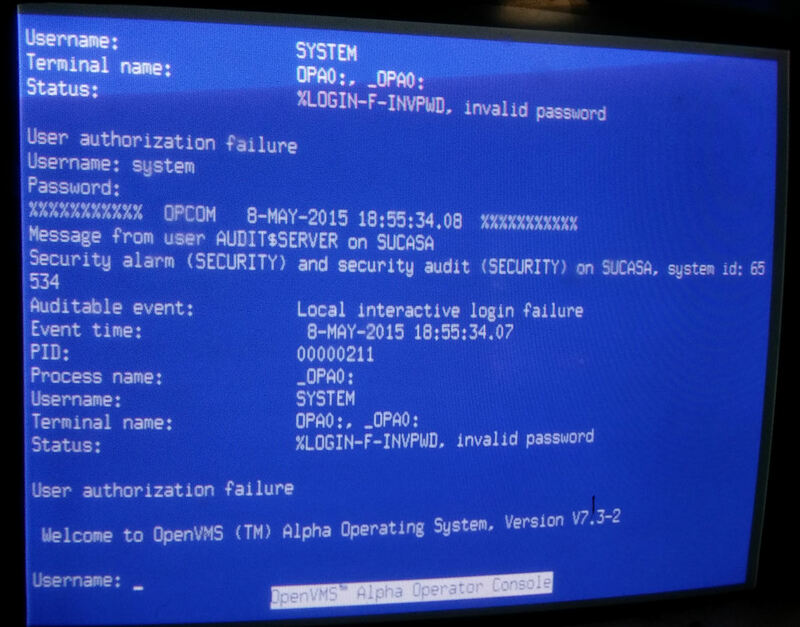 As you can see, this machine has OpenVMS 7.3 installed (the latest VMS release version as of this writing). Click for larger view. 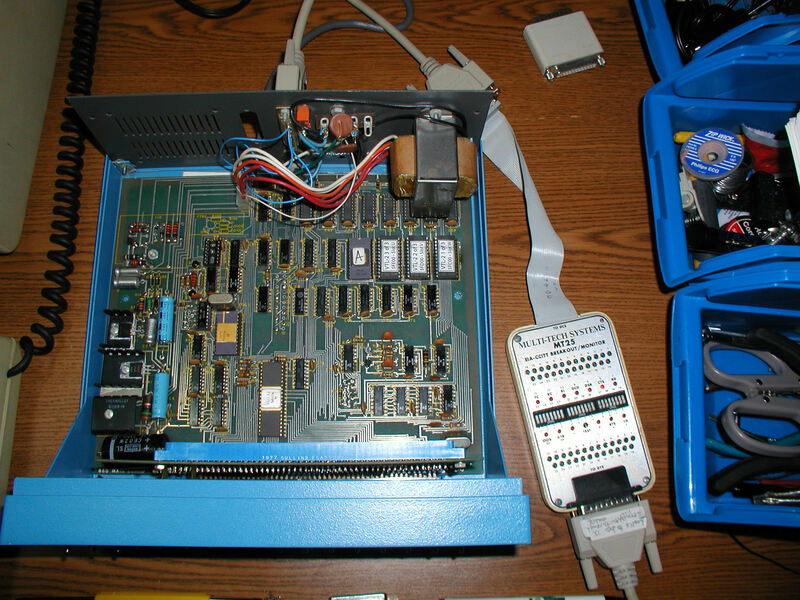 I modified my Altair 680 for 110b, no Baudout, 1 stop bit (see notes about stop bits below). I tested my work by connecting the Altair to a DEC VT102 terminal. 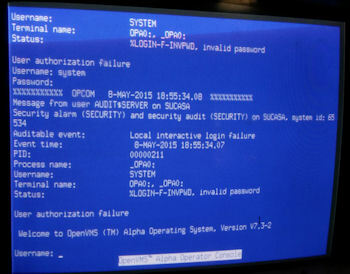 Comms are slow but they work enough to get to the ROM monitor prompt and enter commands. Now I know the system works well enough at 110 baud to continue. Note in the photo next to the Altair is a Multi-Tech Systems MT25 EIA-CCITT Breakout / Monitor tester. This device allows me to see what signals are being sent through the serial cable. Click image for larger view. 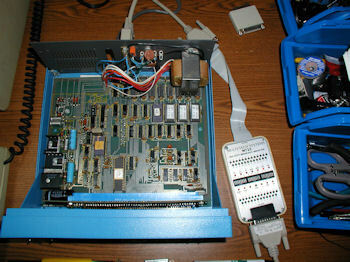 Started Pertec / MITS Altair 8800b Turnkey system restore project. After doing an initial power test I disassembled the unit for cleaning. Click image for larger view. A game controller from the mid 1970's that was built from a kit. 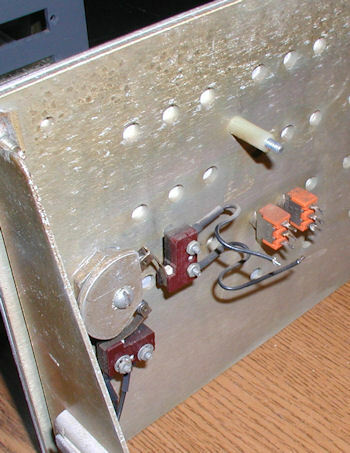 Designs for these kits were published in magazines like Radio Electronics and Popular Electronics. Dave Gesswein powering up the R.E.S.I.S.T.O.R.S. 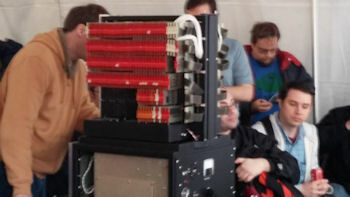 historic PDP-8 computer for the first time in 40 years. A magnificent restoration achievement. 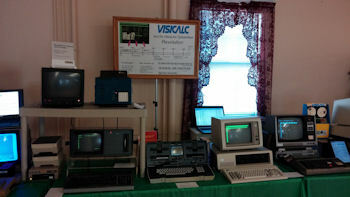 My pick for best exhibit of the show was Doug Crawford's comprehensive VISICALC, with an impressive display of systems running VISICALC, plus a spreadsheet program he wrote for the RCA ELF. 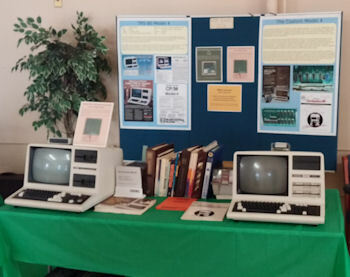 Mike Loewen's TRS 80 Model 4 exhibit featured a unit with a hi-res display. Dave McGuire's fabulous Digital Pavilion was a smorgasbord of DEC goodness that filled a truck. 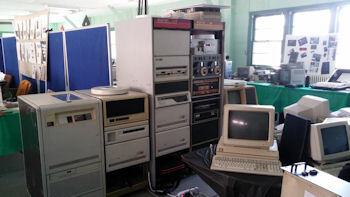 Two Digital PDP 11/40 computers. 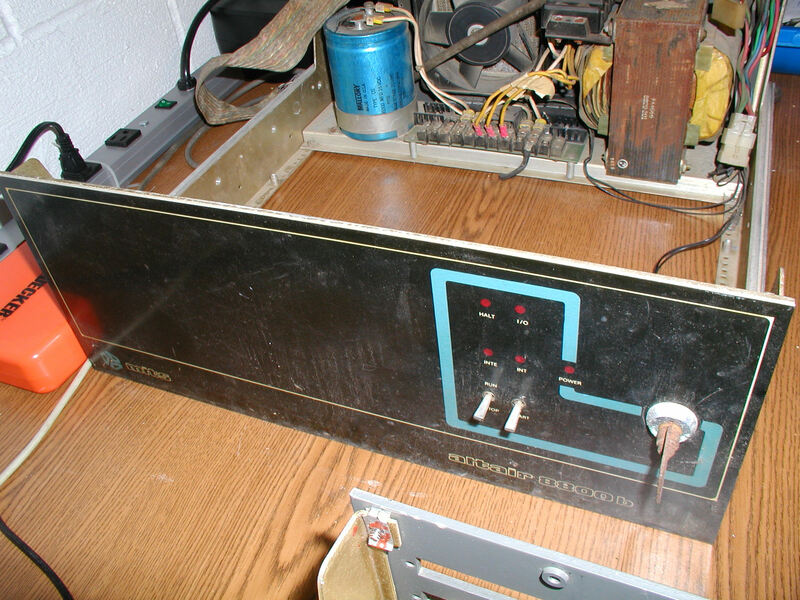 Both are housed in 72" cabinets The left cabinet contains a standard front panel and on the right stands a PDP 11/40 "industrial11" type.